"Just call me Ethan. You're reading this first, but I'm writing it last. I'm at a corner table in this low-rent Starbucks a few blocks from my house. I had planned to write this on the living-room couch, but I have triplet sisters, and they are four years old." "I liked calculus. Scratch that. I hated calculus. But I liked calculus class. The only other class Luke and I had together was English, where BradLee and Aura Heldsman, in very different ways, made it hard to goof off." Comment: I think that Freda at Freda's Voice if off this week which is good since my Friday 56 quote is, gasp, actually from page 57. What has caught my attention, since I haven't started reading the book yet, is that the book is currently written in past tense. We see this from the quote on page 57 but not the quote from page one. Our narrator tells us that we are reading it first but he is writing it last, so it is not in past tense. 2. I don't honestly think I will finish five books in one week, but what if I did? I don't want to have nothing to read. 3. I've been rather obsessed with the book Grasshopper Jungle by Andrew Smith this past week. It is a fabulous book that is so raunchy I am afraid it will be challenged or banned. Here is my review, in case you are curious. As a school librarian I worry about that kind of thing. I keep thinking about the scene in the movie The Music Man where the women's auxiliary is going after Marion the Librarian for pushing smutty books. Ha. 4. I challenged myself to read 30 books this summer (until Labor Day). I am currently reading book #15. Eek. Can I read 15 books in one month? The challenge is on. 5. I have never requested an ARC but I really, really want to read the new A.S. KING book that is coming out in October, Glory O'Brien's History of the Future. Does anyone know how to go about getting an Advanced Reader Copy of a book without getting on some list where I get boxes of books I don't want to read and review. I just want this book early. 6. To see the movie If I Stay or not, that is the question. Have you read this sweet, tear-jerker book? If not, read it quick before seeing the movie. I still haven't decided if I feel like going to movie where I know I will cry during the whole thing. Sigh. Grasshopper Jungle by Andrew Smith is quite clearly one of the most talked about Young Adult novels of the year. Now I know why. It is "a rollicking tale that is simultaneously hilarious and creepy" (NYT). In the opening lines of the book we learn humans are "genetically predisposed to record history" and that is what Austin Szerba, our narrator, does. He writes down everything...everything that is happening around him as the end of the world comes into view. He not only writes about the events that led up to the night when he and Robby inadvertently set into motion a chain reaction which releases a plague strain into their community, but he also writes about his confused feelings toward both his girlfriend, Shann, and his best friend, Robby. He spares no details when it comes to the working of the teenage male brain, either. This is a sci-fi apocalyptic coming-of-age story all rolled into one tale. The Aaron Hartzler quote leads to my dilemna. If Grasshopper Jungle is one of the best YA novels of the year, then it will surely be considered for the Printz Award. If it will be considered for the award, then I should certainly contemplate adding it to our Mock Printz list of books for 2014. But the book is raunchy. Read between the lines when I say "spares no details when it comes to the working of the teenage male brain." What is a public school librarian to do? I want to include this book for its literary merit but I dare not for fear that the whole Mock Printz workshop gets axed by angry parents when they find out what kind of "smutty books" (Music Man reference) I am handing out. If it were just up to me I'd be willing to stay with Grasshopper Jungle even though it is full of confused sexual feelings, a pooping dog, horny man-eating praying mantises and more. But on this one, I'm thinking my hands are tied. The book will remain in the library, I just won't recommend that we include it on the Mock Printz list. 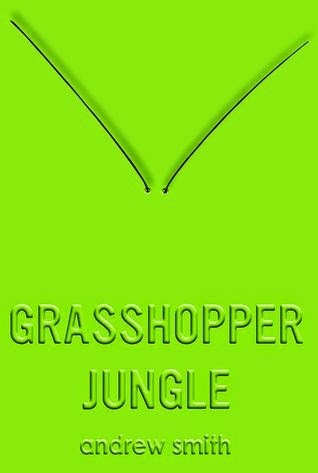 Have you read Grasshopper Jungle? Can you give me any advice to ease my dilemna? 13 / 30 books. 43% done! *Note: I am a devoted library user and I rarely buy books for myself. I only "collect" books from authors I love and books I plan to reread. Therefore, I have very few books by most authors, even if I really like them. 1. JK Rowling---we own the whole Harry Potter series plus a few other books about the magical series. 2. 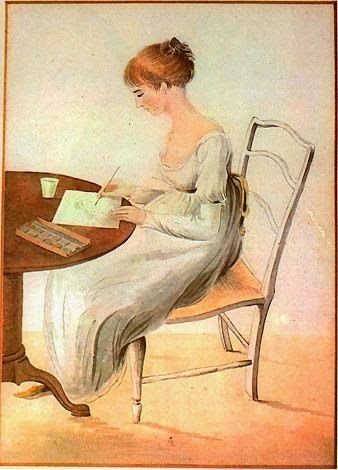 Jane Austen---I own all six of her full-length novels, plus her novellas and her unfinished novels. 3. 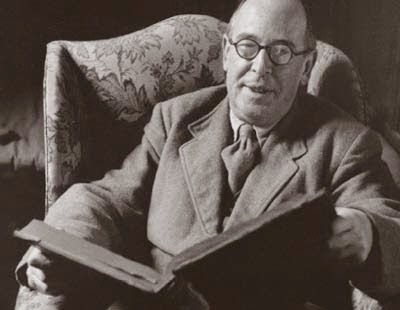 CS Lewis---we own two sets of the Chronicles of Narnia. We had to replace one set because the books were published out of order (meaning it started with The Magician's Nephew instead of The Lion, the Witch, and the Wardrobe.) Then I found a hardcover set and had to buy it. I also own a few of his adult books: Mere Christianity and The Screwtape Letters. 4. 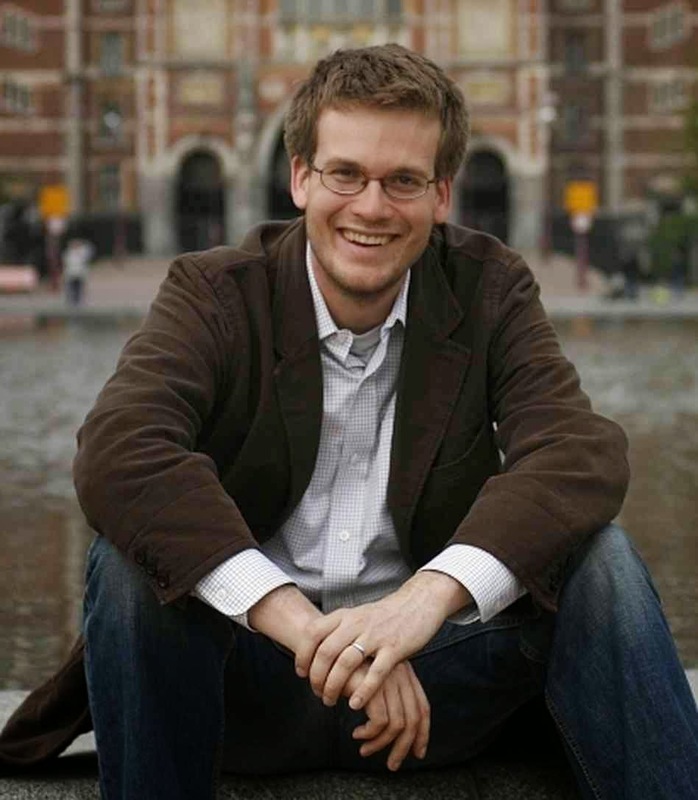 John Green---between my daughter and myself we own all of John's novels. including two or three copies of The Fault in Our Stars. 5. 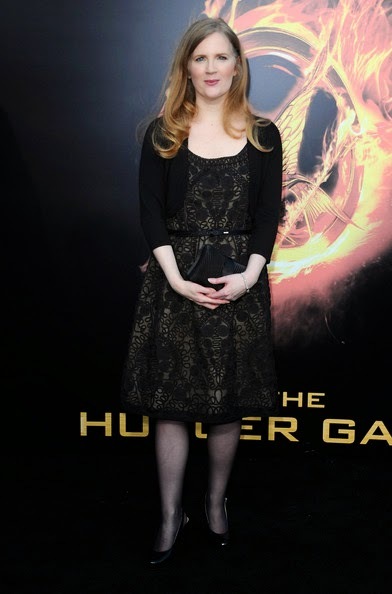 Suzanne Collins---we own the Hunger Games series. 6. 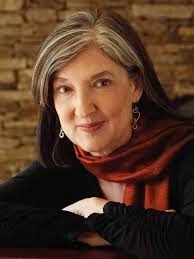 Barbara Kingsolver---my favorite author after Austen. 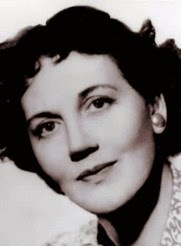 I own all her novels and most of her nonfiction. I think I have eight of her books. 7. 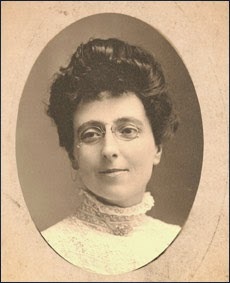 JM Montgomery---somewhere along the line I picked up the complete Anne of Green Gables series, I haven't read them all, however. 8. Mary Norton---The Borrowers series. When my children were little their grandmother gave them the whole series in lovely old hardback covers. Hmm....I wonder where they are? I must find them. I believe we have all five of the books in the series. 9. Bob Welch---Welch is a family friend. I have lots of his books, they are mostly essay collections. 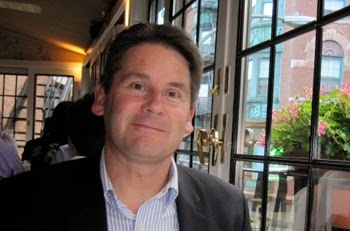 You might know him from his popular book: 52 Lessons from It's a Wonderful Life. 10. 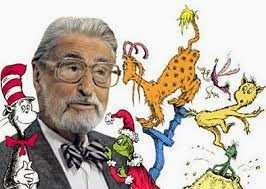 Dr. Seuss---I got rid of a lot of my childrens' books but couldn't bring myself to get rid of his books. They are still in a pile in the Bonus Room. I just found them when I was looking for The Borrowers. 11. 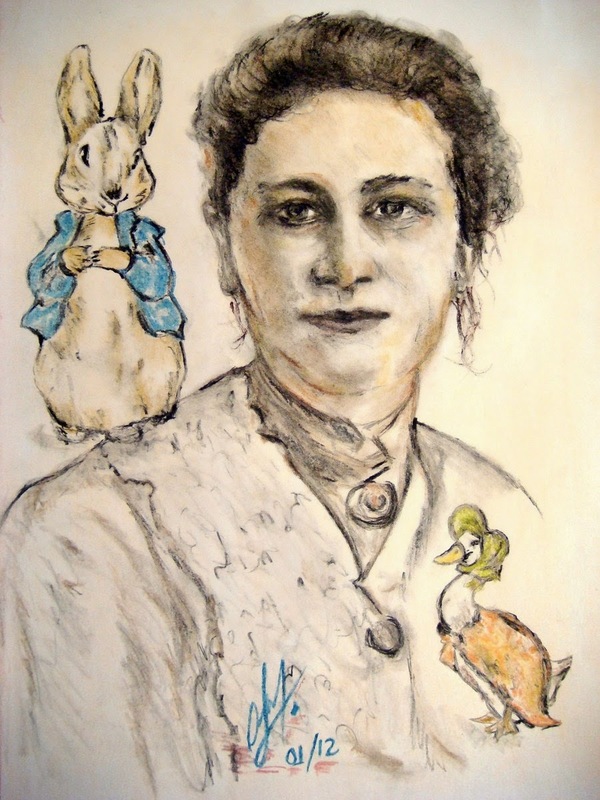 Beatrix Potter---They aren't my books but they are in my house. My daughter collects Beatrix Potter books and figurines. You know her best as the author and illustrator of Peter Rabbit. She has been a delight in my household for many, many years. She has the complete set of her small, children's books (23) and then a few books about this favorite author. It seems that for the rest of my favorite authors I don't own many of their books: Ivan Doig (2); Max Lucado (2); Annie Proulx (2); Mark Twain (2); Olive Ann Burns (2); Sue Monk Kidd (2); Erik Larsen (2)... you get the point. What authors take up the most space on your bookshelves? Weather: blue skies, temperature in the mid 70s. Lovely. Raspberry Jam: My daughter, husband, and I made two batches of low-sugar, freezer raspberry jam yesterday evening. It is not REALLY summer until the raspberries are ripe. It is a really easy process with three sets of hands working on it. This coming week: our nephew is getting married in Boise, Idaho. We will hit the road around 6 AM on Friday in order to make the 500 mile journey in time to get into town for the rehearsal dinner. Blogoversary: This week will be the fifth year of my blog. Happy Blogoversary to Head Full of Books. 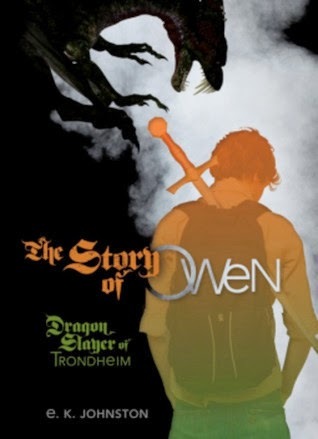 The Story of Owen: Dragon Slayer of Trondheim by EK Johnston---set in modern day Canada with one huge difference---dragons are everywhere and things are getting worse. 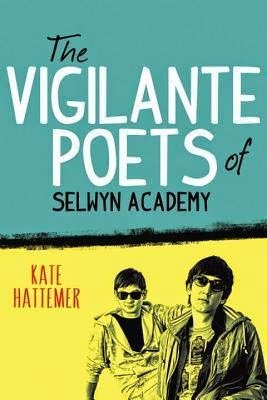 This book is a gem and I will recommend it for our Mock Printz list. 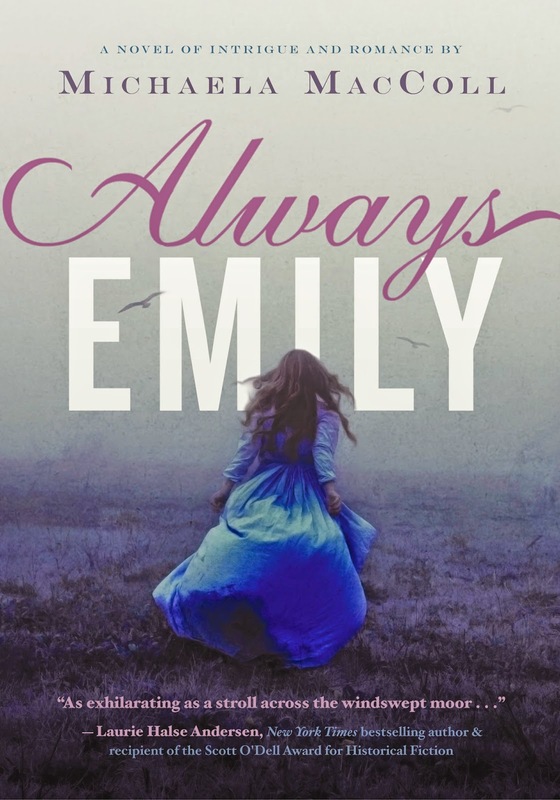 Always Emily by Michaela MacColl---a mystery involving Emily and Charlotte Bronte. I enjoyed this book a lot and would recommend it for fans of Jane Eyre or Wuthering Heights. Grasshopper Jungle by Andrew Smith---weird, weird, weird but I am eating it up. 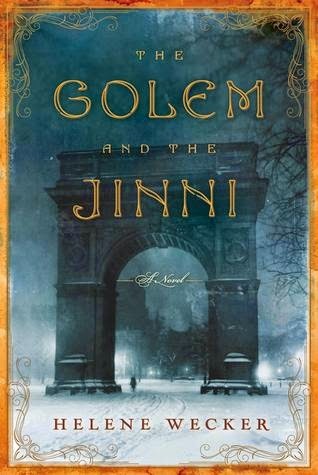 The Golem and the Jinni by Helene Wecker---my audiobook selection for the next few months! Ha! I'm on disc six of 22. Weird Al marathon: Weird Al's new CD Mandatory Fun is out and I can't seem to get enough of his zany videos. Here is my favorite "Word Crimes." As a teacher I am always concerned with poor grammar. Maybe students would pay attention to our rants if we presented the information like Weird Al does. Enjoy! Read this poem: A Summer Day by Mary Oliver. It has two themes I am exploring today: summer and grasshoppers. It is one of my favorite poems. Read it. My daughter standing next to our goliath-sized lily. The cat was NOT happy to be in the photo. The Golem's life began on the hold of a steamship. The year was 1899; the ship the Baltika, crossing from Danzig to New York. The Golem's master, a man named Otto Rotfeld, had smuggled her aboard in a crate and hidden her among the luggage. She read the book three times through, trying to understand these long ago people. Their motives, needs, and fears were always on the surface, as easy for her to grasp as those of a man passing by. My Comments: A golem is a person made out of clay. I started listening to this audiobook in June, set it aside while we traveled, and then just picked it back up this week after a five week hiatus. In order to find the quotes, I had to look in the Google book. The only provided pages went up to page 52, that is why my quote is from that page rather than 56. To be honest I'm a bit freaked out by the length of the audiobook. It has 22 discs. An average book has 11-14. Eek. I will be listening to this book for months! Michaela MacColl, author of Always Emily, helps us imagine the Brontë sisters as young girls who team up to solve a mystery that involves their brother, their father, a neighbor, and mysterious man that Emily meets while walking on the moors. MacColl incorporates real biographical details into this mystery novel and includes quotes from the works of both Brontë sister. It reads like a young adult novel of today, however, missing the more stilted, complicated language usage of their day. I enjoyed Always Emily a lot. In the book's afterward, MacColl gives a brief biographical history of the Brontë family including information on Anne, the third published author in the family. This saved me having to look on the Internet for more information about them since the book piqued my curiosity. As a teenager I read both Jane Eyre and Wuthering Heights, preferring Emily's masterpiece for its spooky details and obsessive love affair. But I suspect if I reread them today I would prefer the more popular Jane Eyre. Unfortunately, few teens today read these Brontë classics. A few years ago April Lindner wrote a book called Jane which is a modern retelling of the Jane Eyre story. When I urged girls to read it they would tell me that they hadn't read Jane Eyre nor did they know the storyline. Isn't that sad? I am hoping that the mystery aspect of Always Emily will attract readers and perhaps, I'm keeping my fingers crossed, it will encourage them to find their way to the BRO section of the library where they will find Wuthering Heights and Jane Eyre waiting to be read. I will not recommend this book for our 2014 Mock Printz event, however. I liked the story and the writing but I don't think it will have strong crossover appeal for boys, which is something we look for in our selections. 12 / 30 books. 40% done! 1. I placed eleven books on hold at the public library today. They are already causing me anxiety and pressure. How will I actually read them all if they arrive at once? What was I thinking? 2. I am currently reading my thirteenth book of the summer toward my goal of 30 books. I've written reviews for all but one of them. I've started to notice that I get very few or no comments on my reviews but I get comments when I participate in memes. I wonder why my reviews are NOT comment-worthy? 3. My favorite way of consuming books is in the audio format but I've noticed a disturbing thing...most YA books published this year that I want to read do not have audiobooks or my library hasn't purchased them yet. I contemplated purchasing a few of them myself which I usually don't do but I am getting desperate. 4. I am reading a strange looking book right now. The text block of the book Grasshopper Jungle by Andrew Smith is yellow, bright yellow. Weird. 5. I am currently obsessed with the Bronte sisters. I finished Always Emily yesterday and instantly started looking up information about the Bronte family. I've never really read much about them before. 6. Speaking of obsessed, I also can't get enough of the new Weird Al music videos from his new album, Mandatory Fun. My favorite is Word Crimes. Check it out. 7. I've decided it is time for me to attempt homemade Naan. My sister-in-law makes it and it is so yummy. I found this recipe and it doesn't sound too hard. Every summer the Bethel School District high school librarians attempt to read as many potential Printz award books (YA books published in 2014.) Here is the list of books we are working on this summer. The third column contains shorthand of the publications that have given these books starred reviews. (See the legend at the bottom of the page.) √ Check marks indicate books I've committed to read. Siobhan, the story's narrator, meets Owen Thorskard the first day of school their junior year when he asks her how to get to English class. They are late to class and have to serve a detention together. Thus begins a friendship between Siobhan, a Band geek, and Owen, nephew and son of famous dragon slayers. Imagine our world and our history where everything is pretty much the same as it is today with one huge difference---dragons exist and they also thrive on fossil fuels. Mankind is forced to spend a goodly amount of its energy defending themselves against these dragons to preserve these fossil fuels. Dragon slayers defend cities and important installations but rural areas are usually left unprotected. When Owen and his dragon slaying family move into Trondheim, a small village in Ontario, Canada, everyone is delighted. Now, surely, they will be safe from dragon attacks. But instead of being safer it seems that there are more and more dragon attacks. What is going on? Siobhan is asked by Owen and his aunt Lottie, the most famous dragon slayer since St. George, if she would join the team as Owen's bard. Bards are the people who do the story-telling and music-making. In today's language a bard would be a PR representative for a famous person. The person who controls the media. Siobhan agrees and thus begins her work as a dragon slayer's bard. In old fashioned terms she would be called a troubadour. "Listen! For I sing of Owen Thorskard: valiant of heart, hopeless at algebra, and the last in a line of legendary dragon slayers." The Story of Owen, Dragon Slayer of Trondheim #1 by EK Johnston is very clever. Take any point in history, insert dragons, and that history is fractured. For example, why have so many people left Michigan? Dragons were attracted to it because of all the factories where automobiles were made and all the exhaust that cars emitted and soon there are too many dragons and the state must be evacuated. Why were parents worried about the effects that the Beatles had on their children? Because the Beatles never mentioned dragons and how to keep safe from their attacks, of course. The Story of Owen will definitely make it onto my list of recommended books for our Mock Printz event this Fall. One couldn't really invent a more compelling or interesting scenario: a brain scientist has a stroke in her mid-thirties and as the event is happening she realizes the need to pay attention so she can report back her experience for others to learn from it. The left hemisphere of her brain is severely compromised during the stroke, leaving the right hemisphere in charge. What Dr. Jill Bolte Taylor experienced when the right side was in control was near nirvana...a peaceful state of bliss where she was acutely aware of the flow of energy around her and her union with that energy. After eight years of rehabilitation and recovery she believes that her brain is back to "normal" but she now chooses to live her life differently, embracing her insights from the stroke and spending more time in the right side of her brain than she did before. Many of us make judgments with our left hemisphere and then are not willing to step to the right (that is, into the consciousness of our right hemisphere) for a file update. For many of us, once we have made a decision, then we are attached to that decision forever. I have found that often the last thing a really dominating left hemisphere wants is to share its limited cranial space with an open-minded right counterpart! It seems that the more aware I am about how I am influencing the enregies around me, the more say I have in what comes my way. To monitor how things are going in my life, I pay very close attention to how things are flowing, or not flowing in the world around me. Depending on what I am attracting, I take responsibility for how things are going and consciously make adjustments along the way. I read the book very quickly, finishing it on a four-hour flight to Nashville. When one of my colleagues commented on that I quipped that I wasn't taking a test over it. But then, one never knows. There is some really practical information in this book that may actually come in handy some day. Maybe I should have slowed down and read it with more care. 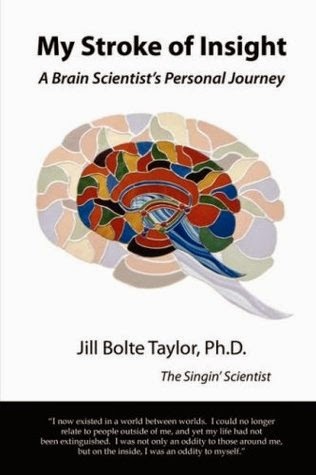 As I prepared myself for this review and for the upcoming book club where the book will be discussed I found this TED presentation where Jill Bolte Taylor talks about her experience, her stroke of insight. The presentation is 18 minutes long. I found it interesting and insightful. You decide if you want to take the time to have a look at it. Jill Bolte Taylor on TED. 10 / 30 books. 33% done! 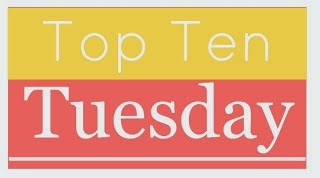 Top Ten Tuesday topic: Name literary characters I would want with me on a deserted island. 1. Ayla in Clan of the Cave Bear by Jean Auel---Ayla had to survive a whole winter on her own when her people banished her. She was an expert on finding plants and herbs for food and medicine. 2. Katniss Everdeen in Hunger Games series by Suzanne Collins---she survived the Hunger Games, twice. Need I say more? 3. Pi in The Life of Pi by Yann Martel--- Pi survived 227 days afloat in the Pacific Ocean with a tiger aboard his raft. 4. Hermione Granger in Harry Potter and the Deathly Hallows by JK Rowling---She could carry her beaded purse that has the undetectable extension charm full of survival supplies. 5. All the characters in Alas, Babylon by Pat Frank---they survived a nuclear holocaust and had to figure out how to do everything without any machinery. 6. The girl in the Island of the Blue Dolphins by Scott O'Dell---she survived alone on a deserted island for four years. She should have the skill set to help others also trapped on an island. 7. Mau in Nation by Terry Pratchett---Mau is deserted on an island, has lost everything, until he finds the ghost girl. 8. Sergeant Mike Flanigan in Mrs. Mike by Benedict and Nancy Freedman---Sergeant Mike's skill set might not be for deserted island life but he was extremely handy. 9. Robinson Crusoe in Robinson Crusoe by Daniel Defoe---he survived on a deserted island for 24 years. He learned to make a canoes and bread. 10. Cassie in 5th Wave by Rick Yancey--- If Cassie could survive an Alien invasion, she could be pretty handy on a deserted island. This was a lot harder to make than I thought it would be. Can you think of some other characters who would be helpful on a deserted island? Will I make my goal, another thirty book summer?